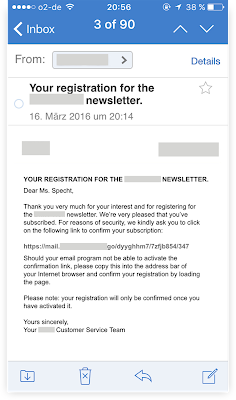 BY BETTINA SPECHT Building and growing a database of subscribers is one of the primary objectives of email marketers. Building and growing a database of subscribers is one of the primary objectives of email marketers. And while marketing technology has allowed for many different ways to support these objectives, anti-SPAM laws might restrict how you can actually collect email addresses and grow your subscriber base. In some countries, you’re required to collect permission from the owner of an email address before sending, but in other countries, no permission is needed. In this post we’ll touch on international permission requirements and provide advice on how to design an opt-in process that fits both your organization’s goals and any local requirements of your subscribers. SENDING EMAIL INTERNATIONALLY: WHEN ARE YOU ALLOWED TO SEND? When it comes to international email regulations, the location of your subscribers will determine the rules you need to comply with. It does not matter where your company is based or where you’re located when hitting send—but rather where your subscribers are coming from. Are you an American company that targets people in the US, Canada and Europe? You not only have to comply with US regulations, but Canadian and European law as well. In the US, the CAN-SPAM Act sets the rules for all commercial emails, but it does not restrict how you can collect new subscribers. Email marketers in the US are allowed to send marketing emails to anybody without gaining prior consent. So if you collect email addresses at a conference or even (shudder) buy a list (Here are many reasons why you should never do this), you are allowed to add any email address to your mailing list. In most other countries, however, regulations are very different. In Canada, Australia and the European Union, for example, email marketers must collect permission from the owner of an email address before sending any communication. In addition, these countries require email marketers to keep record of the permissions they gain from subscribers. If something goes wrong, this information can be used in court, where the burden of proving permission always lies with the sender. This means that if you’re sending email to subscribers outside the US, you need to understand whether or not your subscription process complies with local legislation. The easiest and most common process of opting-in is the single opt-in. In this case, the user typically adds his or her email address in a signup form or checks a box—as part of a purchasing process, for example—to state interest in receiving marketing emails. A double opt-in is a two-step confirmation process. In some countries, it’s also referred to as confirmed opt-in. 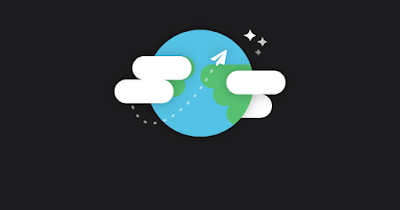 Like the single opt-in, users leaves their email in a signup form, but instead of being added to the mailing list immediately, the subscriber gets a confirmation email that includes a link. 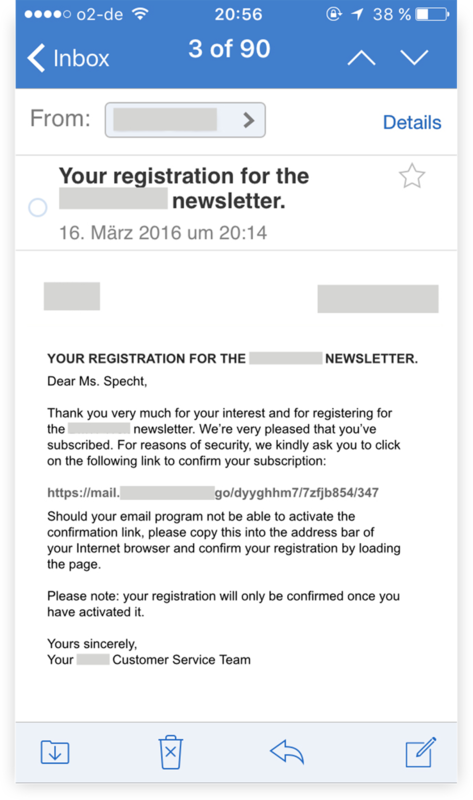 Only when the user opens the email and clicks the confirmation link is the email address added to the mailing list. Email marketers are always looking for the best ways to grow their email list. A single opt-in process is the easiest way to support this goal. Every additional step in the subscription process adds more friction and makes it more likely that you’ll lose potential subscribers along the way. In the battle between single and double opt-in, single opt-in processes typically score a 20-30% higher subscription rate, making it the clear winner when it comes to growing your list quickly. Still, a double opt-in process has its own benefits. Requiring a click in an approval email helps you validate email addresses, avoids spam subscribers, and ultimately keeps your list clean. Most importantly, people who complete double opt-in are likely to be more engaged given their level of commitment in signing up. The result: a more engaged and more active subscriber base. DO INTERNATIONAL MARKETS REQUIRE DOUBLE OPT-IN? While most international markets require permission to send email, no law explicitly requires double opt-in, leaving the email marketer with the freedom of choosing a signup process. One exception, however, is Germany. Germany is known for its strict privacy and data protection and this also reflects in its best-practices around commercial email. While Germany as a EU member is subject to the EU Opt-In Directive, local interpretation of the law makes the situation even more complex. In several cases, German courts have decided that a single opt-in process is not sufficient proof of prior consent. They argue that a person other than the owner of an email could have entered the address in a form. 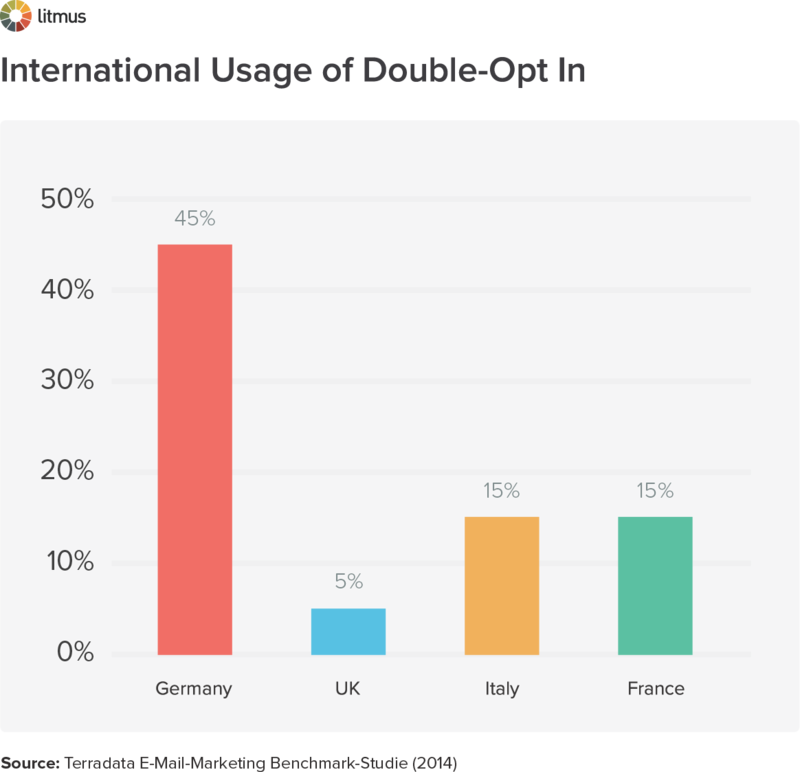 Even though there is no law that explicitly requires a double opt-in in Germany, 45% of German brands have adopted this process as best practice—just to be on the safe side. Considering a double opt-in approach? Since double opt-in creates additional effort for the subscriber, it is important to make the process as smooth and transparent as possible. After user leaves their email addresses, be clear that the signup is not completed yet and give instructions about how to complete the process. The example below shows how Decathlon, a European sports retailer, handles this well. 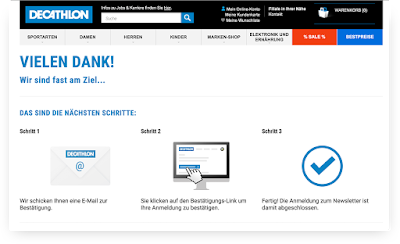 After people leave their email address, Decathlon makes it clear that the user has to take action and they even visualize each remaining step of the signup process. Thank you! We’re almost there! This are the next steps: (1) We send you an email confirmation (2) Click the confirmation link to approve your signup 3) Done! Newsletter signup completed. The example below, on the other hand, does not provide clear guidance to the customer. The fact that the subscriber has to take action is hidden in the small copy. So when they say ‘You have successfully registered for the newsletter’ it’s fairly misleading. At this point, potential subscribers might think they’ve completed the signup. They will likely miss the confirmation email and may never receive your marketing messages. It never hurts to provide incentives as motivation for your newsletter signups, especially when you ask potential subscribers to go through the extra step of clicking a confirmation link. Incentives can include benefits such as discounts on the next purchase or access to exclusive content. Pick a subject line and a sender name that makes it easy for your future subscribers to identify your brand and to find the confirmation email in their inbox. Include a call to action in your subject line to emphasize that the reader has to take action. As always, A/B testing is a great way to find out what subject line leads to most opens—and in this case to most signups. The confirmation email will likely be the first brand message that makes it to your new subscriber’s inbox, so it may be hard to withstand the temptation of providing content already. However, keep the goal of this email in mind: It’s getting people click the confirmation link. Avoid wordy copy or links that could distract people. Make sure your confirmation link stands out by providing a button as a CTA, and never hide the link within your copy. This confirmation email, for example, makes it hard to spot the confirmation link. Font size and weight of link and copy look very similar, especially when opening on mobile. 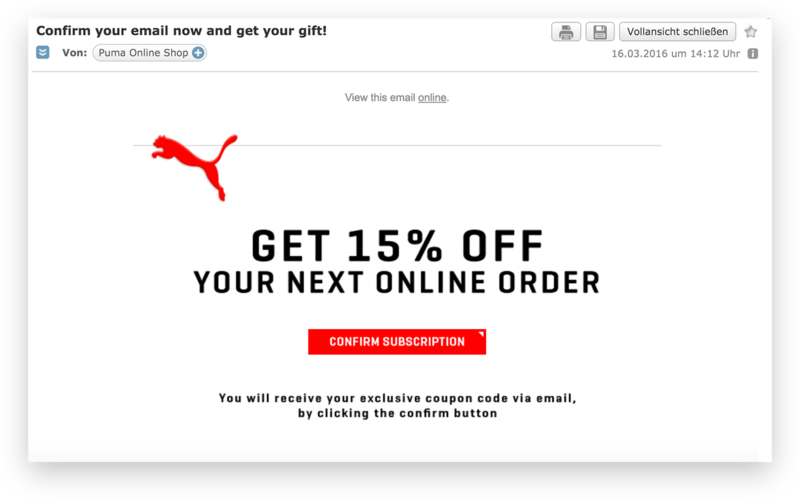 Puma’s confirmation email, in contrast, is a great example of a beautiful and straight-forward confirmation email: the content is reduced to the absolute minimum—with the description of the signup incentive and the confirmation button. 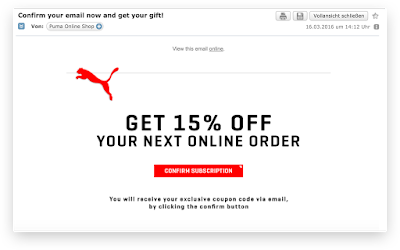 The clean design puts the confirmation button in the center of the message and leaves no doubt about where to click. DO INTERNATIONAL OPT-IN LAWS MAKE IT HARDER FOR YOU TO QUICKLY GROW YOUR SUBSCRIBER BASE? Still, a good opt-in process does not only protect users from spam, it also helps you to build a quality list of engaged and active subscribers. What’s your take on opt-in processes? How does your organization make sure it is compliant with international regulations? We’d love to hear from you!